For a very long time Terry Brooks was my favorite author. He is not any longer. Charles deLint took that honor a few years ago, but it took a long time to unseat Terry. And although he is no longer my top author, he will always be in the top and have a place in my heart. If I had to pick an author that got me into reading it would be him and Eleanor Cameron with here Mushroom Planet books. I remember finding Terry Brooks in the Hatch’s bookstore in Westland Mall in Lakewood, Colorado in 1982. The cover intrigued me, a nd I eventually bought it and The Sword of Shannara. I read them and have been a fan of fantasy and Terry Brooks ever since. People often complain that The Sword of Shannara is a rip-off of Lord of the Rings and discount him after that. When I read Sword, I have never read Lord of the Rings, so I was fine with that. It is a direct homage/copy of the story in many ways, and Brooks admits it, but books after that are not. 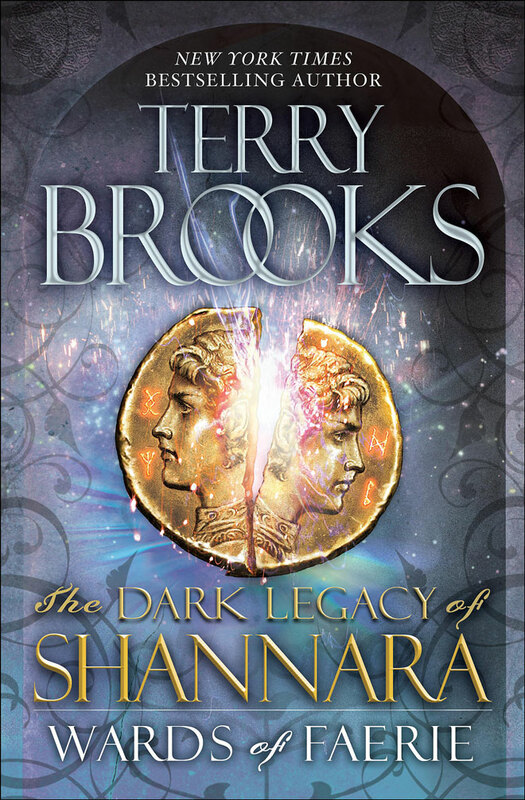 This is my 28th book I have read by Terry Brooks. There are only 2 I have not read, and I will get to them. Of late, I have not loved his works, but while reading even ones I don’t love, I enjoy the story, so he is doing something right still with me. However, since post Talismans of Shannara, Terry has fallen into a rut of some sorts. His books all a formula that I can see since the Isle Witch trilogy. In his books of late, you will find that the heroes must look for something (a quest), and the following always happens: the first book is always the formation of the team, the Hadeshorn will be visited, an Omhsford has to be on the quest, the King of the Silver River will come to them at their most dire point in the quest (has not happened yet), there will be a very capable assassin, the Elfstones will be needed,and there is always a political subplot). Despite this, I still love his books, and I am looking forward to the next book in March (this series will finish n a year–take note George). I do agree with many critics that this is his best book in years, but it is still flawed. However, his last 2 trilogies and 1 dulogy have not been his best, but this seems to have lots of potential. Thanks you Terry for the many years of reading enjoyment. I am glad to have met you twice, have a letter you wrote back to me in 1985 that I will always cherish. Keep writing as long as you are able. You will be missed by me when your writing ceases. This entry was posted in Reading and tagged fantasy, reading, terry brooks. Bookmark the permalink.